Bloomington Auto Parts – Hard Work Pays Off! 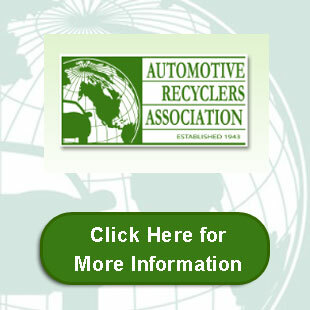 Like many auto recycling facilities, BAP is located on a site that has operated as a salvage yard for a long time. Back in the day things were done differently, as we all know. Back when scrap prices were low and there were no regulations regarding waste tires or automotive fluids, byproducts of the industry were managed differently. At BAP, there were large piles of tires, tin, trash, and other miscellaneous debris that were pushed off the edges of the vehicle storage yard. The debris was mixed with soil and had trees growing through it. These piles were old and Chuck had no hand in creating them, but as the current owner of BAP, it was his responsibility to clean them up. Working with IDEM can be intimidating, frustrating, and it can eat into your profit significantly. The first secret to success and the secret to gaining and keeping compliance is to not ignore the regulators. From 2008 to 2010, BAP was not as responsive as they should have been. This lack of response caused IDEM to issue additional violation letters and to assess a fine. Like anyone, IDEM staff do not like to be ignored. One thing that many folks fail to understand is that IDEM does not expect you to correct all of your issues TODAY, or tomorrow. What they do demand is that you develop a plan to correct your deficiencies, share it with them, and keep them updated of your progress. This is what Chuck and the staff of BAP did right. On July 7, 2016, BAP had its final enforcement inspection. After the inspection, IDEM decided to close the Agreed Order and return the facility to a compliant status. Eight years after initially signing the Agreed Order with IDEM, BAP is finally done! VET helped BAP get compliant with storm water regulations early in 2010. Since then, Chuck and his team sorted all the debris piles. They collected, sorted, and disposed of countless loads of trash, scrap metal, and tires – 15,878 of them. The photos below describe the situation better than we can with words. The first photo shows one of the waste tire piles and the second shows the same valley after removal. Yes, that is a 1946 Ford truck buried in the tires. The third photo shows the debris pile that lined the facility. The fourth photo shows the same area during the clean-up. The arrows point to trees in the before and after shots to show the scale of the piles. VET developed the Indiana Certified Automotive Recyclers Exemplary Standards (INCARES) program to develop and maintain an organized, prestigious, and meaningful compliance program for Indiana’s best Automotive Recyclers. The INCARES program helps the highest achieving automotive recyclers in the state of Indiana gain and keep compliance. Each company is audited using a rigorous and dynamic auditing system developed by VET. The audit scores members based on 90 different criteria. An audit with a score of 75% or greater, earns a certification as an INCARES Medalist. Only the best companies in the state become certified. In March of 2017, Chuck decided to join the INCARES program, to improve his facility’s compliance. During their first year in the INCARES program, BAP earned a 75.56% and was awarded their first INCARES Silver medal at the annual Auto Recyclers of Indiana (ARI) convention in Indianapolis. BAP employs three full-time employees. They do not have fancy equipment or nice big shiny loaders. When Chuck started the journey to clean up BAP and to become an INCARES Medalist, a historic mess created by someone else, surely looked like a mountain – literally and figuratively. It was back-breaking labor in hot and in cold. BAP was the underdog in this story. They accomplished this incredible feat against a ton of odds, and they did it through hard work and refusing to give up. As they say, when you must move a mountain, you do it one stone (or tire) at a time. We could not be prouder of BAP and feel honored to be a part of their team. Every good story has a moral and this is a great story. The moral is to come up with a plan, keep good records, communicate your progress, and never give up. You will protect your business and perhaps more importantly, you will protect the real estate your business sits on. VET wanted to share this story because there is no excuse. We know it is scary and we know it is hard – good things always are. But, if the BAP team can buckle down and reach compliance, so can you. If you have not come in line with the changes that have taken place in this industry, now is the time. Environmental and safety regulations aren’t getting any less stringent, ever again. Now is the time to start moving those rocks (or tires), one by one. Congratulations to Chuck, Jim, and Homer – way to go!